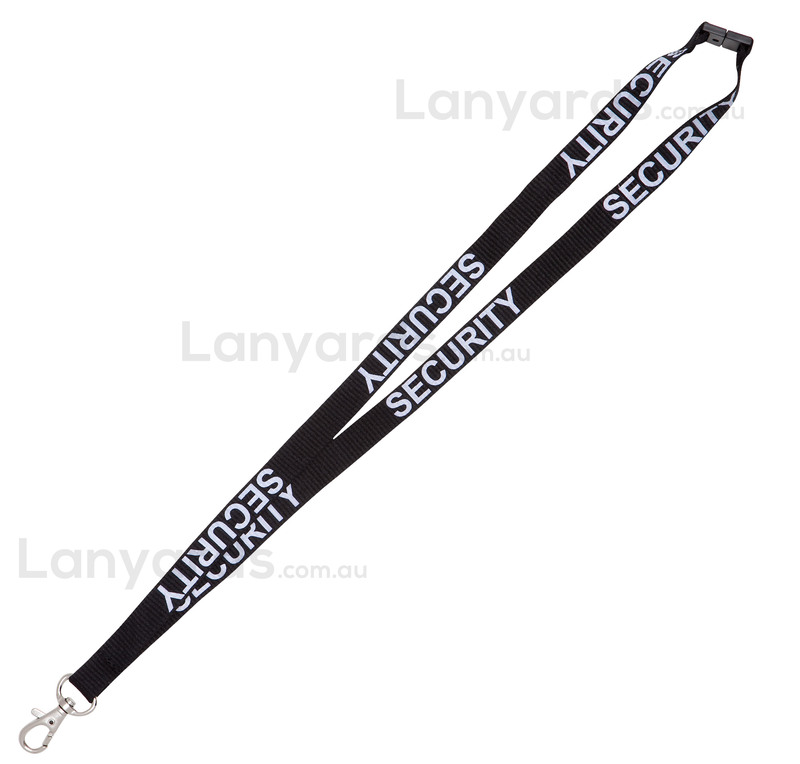 Security Lanyards come in a 15mm wide polyester material with the word SECURITY repeated laong it's entirety. If you have a small crew for an outdoor event and only need a small quantity,then these preprinted security lanyard are perfect. They come with a trigger hook for attaching ID cards and a safety breakaway at the back. In stock now for immediate shipping.